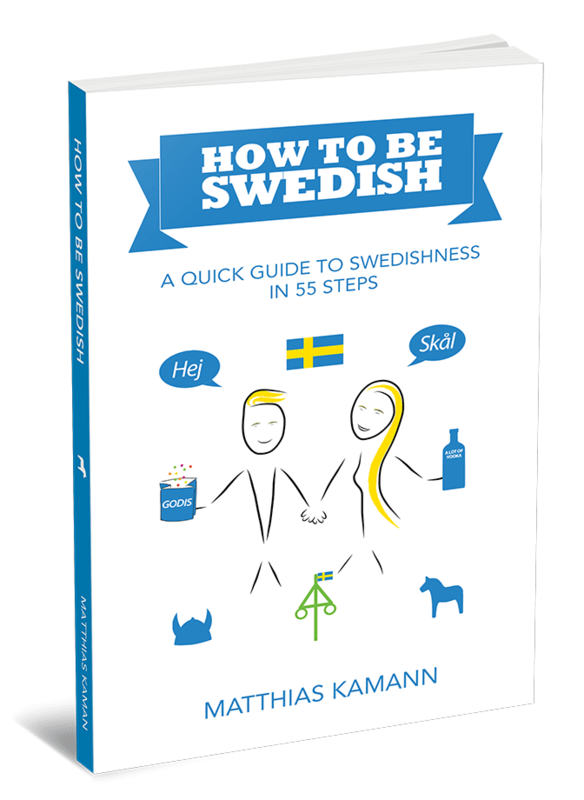 Finally, after a long time of planning, writing and drawing, I proudly announce that my first book “How to be Swedish – A Quick Guide to Swedishness – in 55 Steps” is published. In this post I’d like to show you the path that I followed, from the initial feeling “I want to write a book about my Sweden impressions and experiences” to holding my self-written book in my own hands for the first time. Already back in 2008, when I moved to Sweden for good, I considered creating a website on which I could share my Sweden experiences with others. A few years later, I launched HejSweden.com. One of the categories was “Typically Swedish“. A series of blog posts with things that I consider special in Sweden or different in the Swedish culture – things that probably any Sweden traveller or new-Swede would notice after living in Sweden for a while. 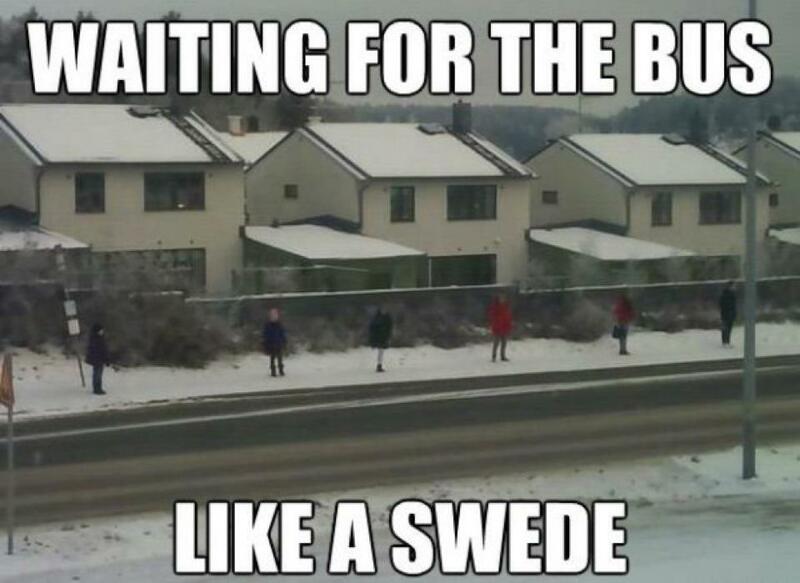 For quite some time I considered writing a book about these typically Swedish things as well as my experiences. But I didn’t find a good format how to wrap it up in an appealing way. It was important for me not to write too scientifically or go too far into depth, to make the content of the book easy to digest. At the same time I wanted to give a broad overview over diverse topics and experiences one encounters in Sweden. How I came up with the idea and title? The solution came in late 2013, when I found out about a book with the title How to be German. Already by reading the title, the format of my own book came into shape. “I will do a similar, to Sweden adjusted version”, I thought to myself. How to be German was a great inspiration regarding tone and format. It I finally knew how to combine my existing “100 Typically Swedish Things” with the culture guide and my personal experiences. Well, first of all, How to be Swedish was a side project. I was working with my other projects or as a consultant at the same time as I was making the concept of the book. After conducting in depth research on the topic, for more than two years, I started writing the core text in early 2016 and drawing the illustrations during summer, both finished in autumn of the same year. Apart from my Typically Swedish points, I collected all possible “steps to Swedishness” I read about or encountered myself. The criteria were: the steps to Swedishness should either be “important”, to better understand Swedish behavior, or “entertaining”, meaning that one should be able to have a lough (or at least a smile) when reading the book – Sweden visitors and “old-Swedes” alike. I went to local libraries, Amazon, and checked my own books about Sweden and Swedish culture. In total I read (or skimmed through) 30 books about Sweden. Whenever I found a website about Sweden, for example the classic sites for tourists as well as funny images, I checked whether this information or entertaining aspect could potentially benefit the reader in some way. All this newly collected knowledge was mixed up with my own experiences and impressions that I gathered during the past years in Sweden. I collected all the preliminary steps to Swedishness in an Evernote document. A list of 180 steps in total. Since I am not a native English speaker – as you probably already noticed (sorry for all the mistakes and weird way of expressing myself! I hope you still understand what I’m trying to express… ) – I found it difficult to write in a way that sounds at least “ok” for native English speakers. So, I watched English standup comedians and funny TV shows to get more fluent and a better sense of rhythm in my writing. This was absolutely necessary since already back at school, I had among the worst grades in all language classes – German: lowest passing grade. Latin: lowest passing grade or even not passed. English: same as latin. So, since my linguistic proficiency certainly is not the best, I had to get into the English language a bit more to be able to write a book in English. Since I didn’t want to invest too much time into finding a publisher that takes care of big parts of the creation process (editing, formatting, printing, promotion and much more) I decided to do all of it myself – except the printing, of course. The easiest and cheapest way to create a book is to write a text in Word, format it as a PDF and then distributing the file as an e-book via your Website. Somehow, this wasn’t the way I wanted to go with my book. At least not as the only option. Now, you can buy How to be Swedish as an e-book on Kindle, but it is considered more as a complement to a paperback version. The paperback version of my book was important for me, because I wanted to create something tangible. I just felt like I want to deliver a product with value that people can hold in their hands. And I can say, after having received a copy of the finished book, it felt great to hold it in my hands. Making everything yourself can also mean some kind of investment. Professional illustrations, editing, proofreading etc can cost a lot. If done properly, a few thousand dollars all together, if you only want to do the core writing part. Since I didn’t want to invest too much for a product that possibly won’t pay back any money at all, I decided to keep the expenses as low as possible. Having spent less than $300 until publishing (for proof reading by native speakers, Kindle formatting and buying proof copies), I am almost surprised I could stay under my $500 budget with a good margin. One reason why I tried to avoid traditional publisher was the time aspect. I didn’t want to put time into presenting a manuscript in a job-search-like “application process” and hoping for someone to “accept” my book. The decision to self-publish – as someone with no track record in the book world – has possibly saved me a lot of time and demotivating comments. Another reason why is the control over my book. For example, it was up to me to find an appropriate price for the book (After researching the internet and books in the same field, I believe about $15 for the paper back is a very good price considering the content of the book. It’s a price I would have easily paid myself, if someone else had written it before me. Also, I can decide where and how I want to distribute the book. I don’t have to ask for permission. And I’m responsible for any mistakes that I might do. That feels good. It felt great having held and read How to be Swedish for the first time. At the same time I am a nervous that I might have written things that could offend people, or embarrass me in some way. But I’m sure that whoever reads the book, will find some valuable information about Sweden and Swedish culture. In total, even if this number of sales will not be achieved, I am glad I have made it through the tricky bits of writing and self-publishing a book on low budget. It was a great journey, learning new things, new skills, new insights about myself and Sweden. I have put a lot of love and hard work into this book. I hope you’ll enjoy reading it as much as I enjoyed writing it.